With the best security system, a business can feel secure. Business owners, like homeowners, want to have peace of mind. They want to be free from break-ins, and make sure they’re not putting themselves or their property at risk. They also need to keep customers safe from harm, and reduce the chances of seeing anyone injured on their property. But not all businesses just let people come right in. 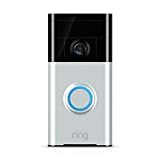 Any and all of these can be good choices and a quick look at any ring doorbell review will make the benefits obvious. It depends on the money that’s to be spent and the specific needs of the company. With doorbell cameras for businesses, it’s important to get what works for the business and for its customers, as well. Why Choose a Doorbell Camera for a Business? Most people think of businesses as places where people can just walk right in. Why would they even need a doorbell? But not all businesses are like that, especially if they operate on a more private level. Therapists and some doctors, weapons dealers, and other types of businesses may not just let anyone and everyone in. That’s important for those businesses and their safety, and also for the safety and care of their clients or customers. It’s why choosing a doorbell camera is so important. Anyone can ring a doorbell, but the business owner wants to be able to see what that person looks like and who they really are. Then the business owner can make the best choice about whether to let someone in or keep the door locked. It can save lives and protect property, both of which are very important when it comes to operating a strong, healthy business. The right security system is one where all the components do what they need to do in order to keep the business and its people and property safe. The right doorbell camera is a big part of that, and will be used to help ensure whether the business is properly protected. Generally, having any kind of doorbell camera is better than having nothing at all. But that doesn’t mean that all of these doorbell cameras are equal. A doorbell camera for a business may get much more use than one for a home, so it’s vital to get one that’s going to work well, be strong, and hold up to a lot of usage. Which Option Should a Business Owner Choose? Business owners would be wise to make sure they’re picking the best doorbell camera for their needs. They can do that through working with a good security company to advise them. 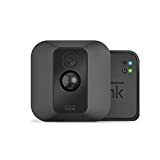 They might also want to talk about their customers and what they need, in order to get a good, clear picture of the best kind of doorbell camera to help them. It’s important to focus on customers when a business is involved, but it’s also very important to keep the business itself in mind. Its needs and goals all matter, as does its budget and reputation.